Asian pears are unique in that they’re round and crisp like an apple. They have a sprightly juiciness that differs from the buttery texture of the European pears found in supermarkets. 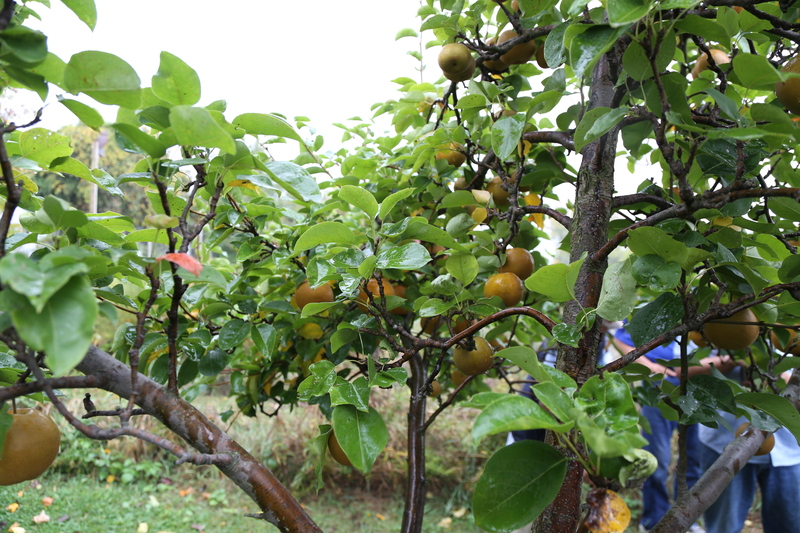 In an orchard setting Asian pear trees are maintained at a height of 10-20′. Compared to its European cousin the Asian pear tree is relatively low maintenance.